The launch of the Wooden Boat Festival in Hobart on Friday 8th February was particularly special with the naming of the ‘Vanessa G’ by the Premier the Hon. Will Hodgman. The 104-year-old vessel has been restored and named in honour of the late Attorney-General and Corrections Minister Vanessa Goodwin who died of cancer in 2018. This amazing project was sponsored by the Rotary Club of Howrah with specialist timber supplied through Sustainable Timber Tasmania. It is believed to have been built in Cygnet in 1915 from Huon pine and sailed by Ernie Archer of Cradoc. Later it was used as a tender, and then spent 25 dry years in a backyard and storage sheds. It was given a new lease of life when donated to the Howrah Rotary Club took who wonderfully initiated the restoration project. The project was a partnership between the Howrah Rotary Club, the Wooden Boat Festival and Risdon Prison. 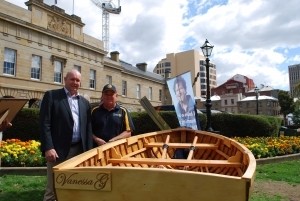 For nine months several inmates restored the Huon pine dingy to its former glory in the workshops at Risdon Prison. The inmates learnt new skills, and lovingly brought the boat back to its former glory. The boat was in terrible condition when the Club took it over. The Huon pine was rotted and looked unrecognizable. Sustainable Timber Tasmania assisted with the supply of Huon pine, Oregon and Celery Top timber. 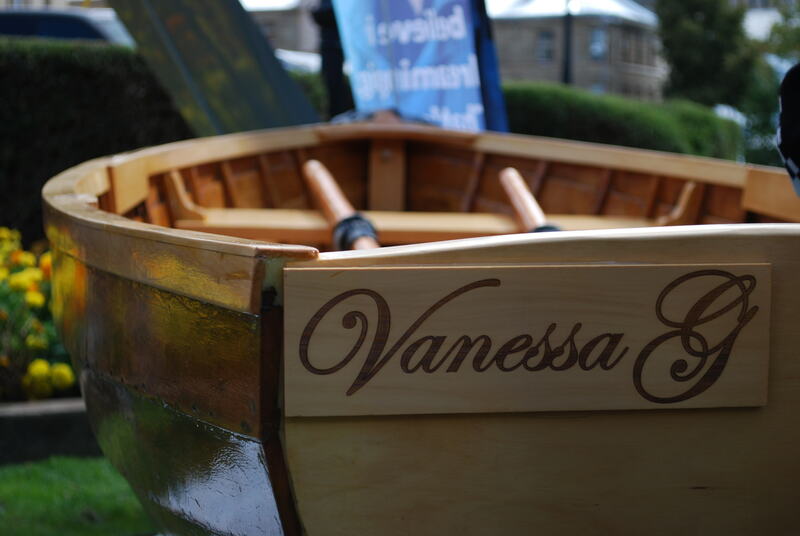 The Vanessa G will be auctioned during the Wooden Boat Festival with all proceeds going to Risdon Prison to fund further projects. The pride is obvious in all who have been involved in this project. There is a universal wish that the boat will go to a great new home and enjoy a new lease of life.